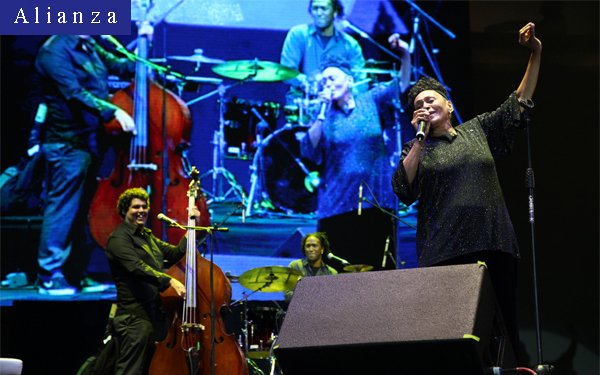 As part of the fourth day of activities for Festival Internacional 5 de Mayo, Omara Portuondo performed in Puebla, Mexico to more than 2,000 people. The open air show in the city's central Zocalo Square was one of the highlights of the festival. The Grammy award winning singer charmed the audiences with a repertoire that included popular songs from her recordings.